The project includes a renovation of Bear Down Gymnasium. 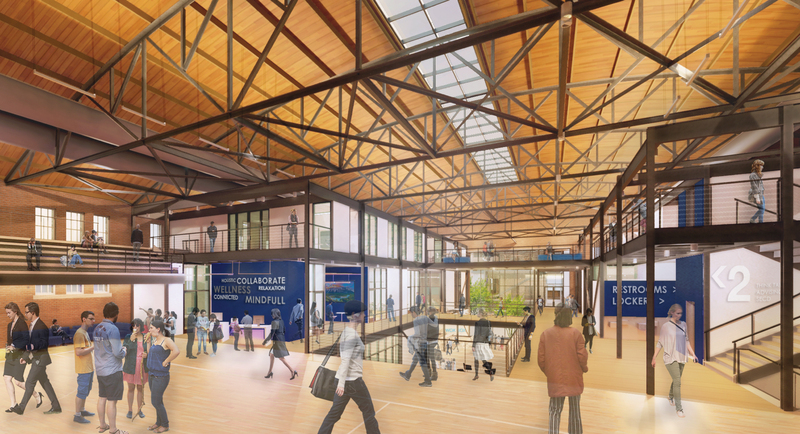 This rendering shows an interior view of Bear Down, facing south. The Student Success building will be constructed south of Bear Down Gymnasium. Construction has begun on the Student Success District, a project that will connect existing buildings near the heart of campus in order to integrate services and spaces designed to promote student success. "Inspired by student input, this commitment ensures all UA students have seamless access to the resources and expertise needed to maximize their intellectual development, social growth, physical well-being and career preparation," Jeff Goldberg, interim senior vice president of academic affairs and provost, wrote in a memo last week. 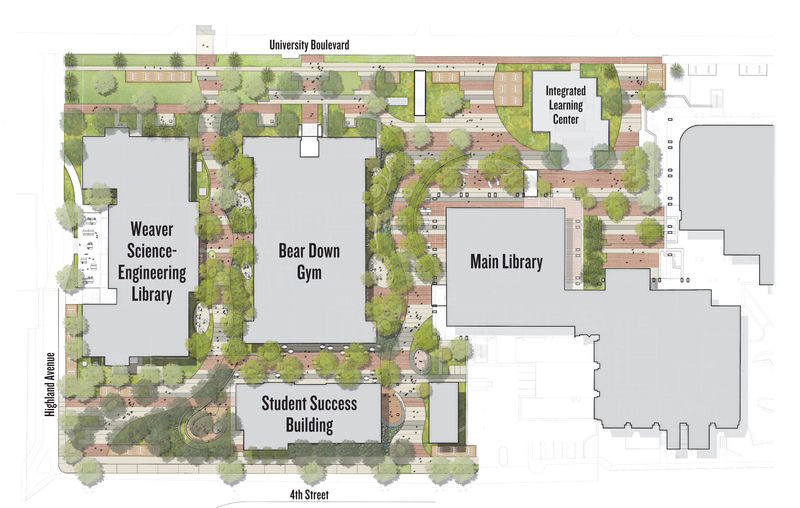 The district will integrate the Main Library, the Albert B. Weaver Science-Engineering Library and Bear Down Gymnasium along with a new building – to be called the Student Success building – which is being constructed immediately south of Bear Down. Renovations are planned for the other buildings in the district. The Student Success District is designed to augment and expand on learning that occurs in the classroom by providing the support that students need in one easy-to-find space, Goldberg explained. In addition to collaborative learning spaces, the district will include tutoring services, health and well-being resources, and cutting-edge technology that will enable students to collaboratively design and fabricate physical and digital creations as part of the learning process. The district is a joint initiative among University Libraries, the Student Success and Retention Innovation office, the Student Engagement and Career Development office, and Campus Life. Construction is expected to be completed in 2021. Goldberg acknowledged that the construction and renovation projects will cause some disruption. "We are certain the temporary inconveniences will be well worth the end result: an integrated approach to student success that will benefit every UA student for generations to come," Goldberg wrote.